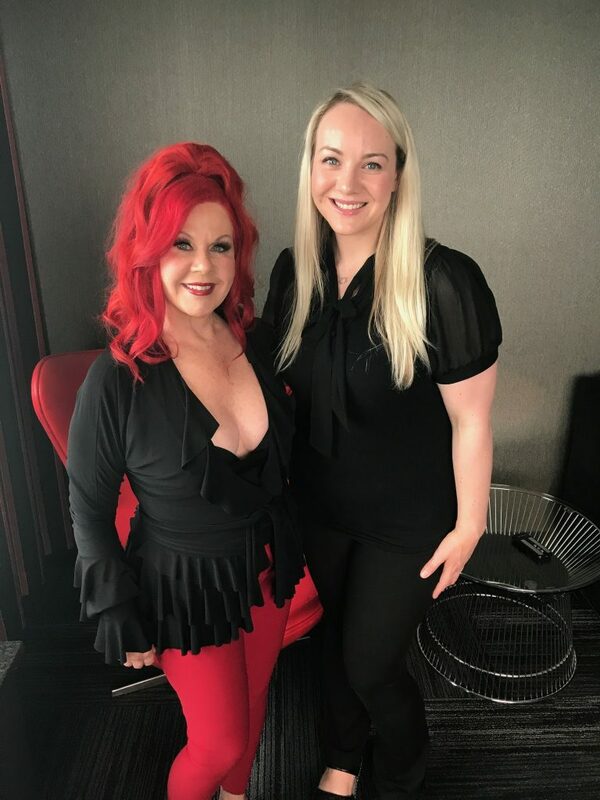 Last Friday (August 4, 2017), I was Kate Pierson of the B52’s makeup artist for “It’s a Festival Dance Party with the World’s Greatest Party Band, The B-52’s” at the Festival of Sandpoint. It was a great pleasure and honor to work with such a legend. The B-52’s – Forty years into their career with over 20 million albums sold, there can be no doubt as to why they remain one of rock music’s most beloved and enduring bands. 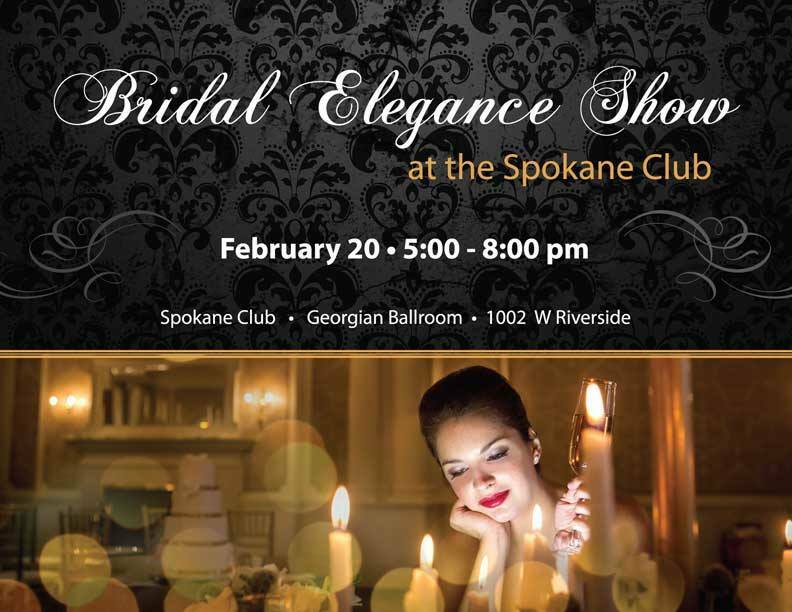 I warmly invite all brides-to-be to attend the Club’s Bridal Elegance Show, hosted by their amazing Bridal Consultant, Jackie Kiley on February 20, 2015 from 5-8pm. Visit me, Shasta Hankins Airbrush Makeup, and other premier vendors to get great ideas and inspiration for every aspect of your wedding day, while enjoy delicious appetizers and sparkling refreshments. The setting for the show is the Spokane Club, one of the most beautiful venues in town. Their rooms, and services, are the essence of classic elegance and affordable luxury. And the perfect place for a perfect bridal show! There is no charge for Club members. The Cost is only $7 for non-members. 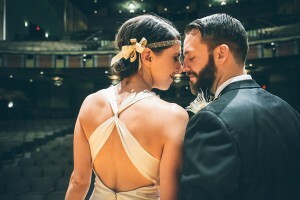 Shasta Hankins Spokane bridal makeup was featured in Apple Brides a few days ago for Kate and Joe’s stunning and amazing wedding at the Fox Theater. The wedding featured an Art Deco vintage era theme, think “Great Gatsby” 1920’s style. Shasta applied makeup to not only to fit the time period of style and elegance but to bring out the fun of the 1920s. The 1920s was the beginning of the beauty culture in America. This was the time period where women had a lot of fun with makeup- blushes, powders and lipstick. With Kate’s beautiful complexion, Shasta used airbrush makeup to bring out her natural skin tone while highlighting the eyes and the lips to bring out the era’s natural beauty look. The red lips create a dramatic, feminine look while providing the stark contrast with her fair skin to give it that “pop”! It really brings out her smile in the beautiful photos by Ifong Chen. 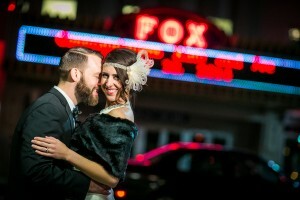 Read more about it and see Shasta’s glowing bridal makeup work in the incredible photos from Apple Brides. 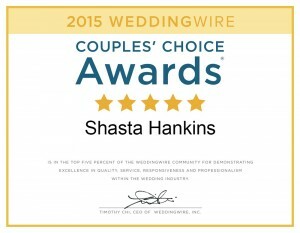 Spokane‘s Own Shasta Hankins Freelance Bridal Makeup Wins a WeddingWire Couples’ Choice Award® 2015. 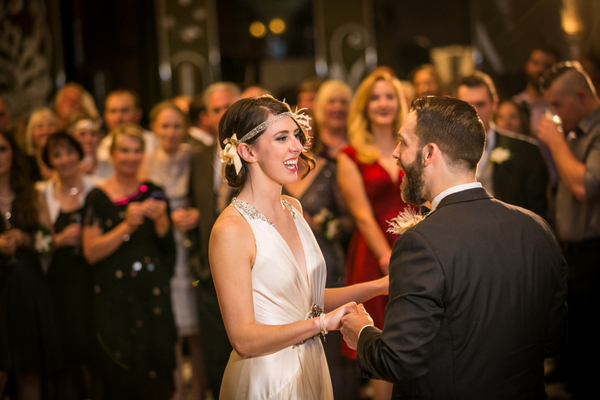 Spokane, WA – January 20, 2015 – WeddingWire, the nation’s leading online wedding marketplace, named Shasta Hankins Freelance Bridal Makeup as a winner of the prestigious WeddingWire Couples’ Choice Awards® 2015 for Beauty in Spokane! While many industry award winners are selected by the host organization, the WeddingWire Couples’ Choice Awards® winners are determined solely based on reviews from real newlyweds and their experiences working with Shasta Hankins Freelance Bridal and Wedding Makeup. Award-winning vendors are distinguished for the quality, quantity, consistency and timeliness of the reviews they have received from their past clients. As a Couples’ Choice Awards® winner, Shasta Hankins Airbrush Bridal Makeup is highlighted within the WeddingWire Network, which is comprised of more than 200,000 wedding professionals throughout North America and abroad. Shasta Hankins Bridal Makeup is proud to be one of the top Beauty in Spokane in the WeddingWire Network, which includes leading wedding sites such as WeddingWire, Project Wedding, Brides.com, Martha Stewart Weddings, and Weddingbee. We would like to thank our past clients for taking the time to review our business on WeddingWire. We value all of our clients and truly appreciate the positive feedback that helped us earn the WeddingWire Couples’ Choice Awards® 2015. 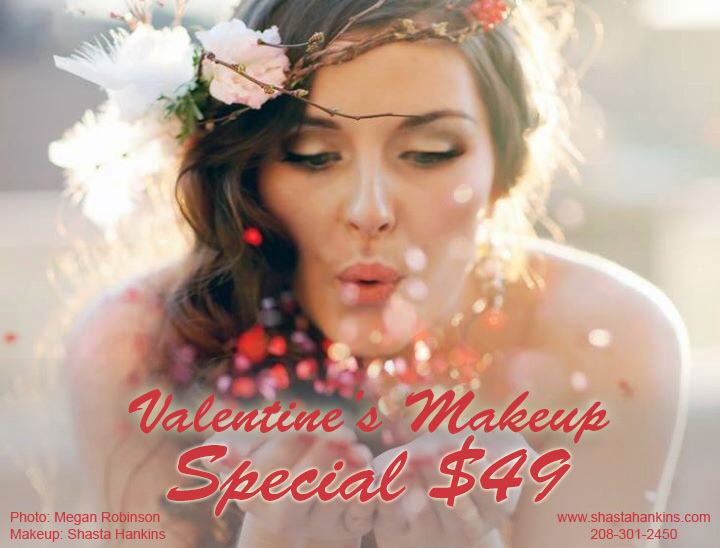 For more information about Shasta Hankins Bridal Makeup services, please visit our WeddingWire Storefront today at http://www.weddingwire.com/biz/shasta-hankins-freelance-makeup-spokane/db62b7482a11198c.html. Beautiful engagement, pre bridal makeup by Shasta Hankins and photographer Allie Hannah from last week. 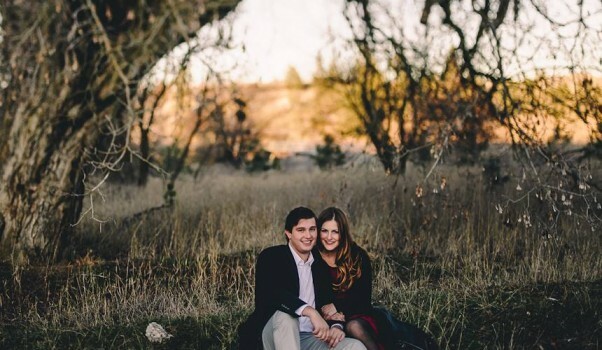 Great looking couple who battled some mighty cold weather in Spokane this day! Fantastic makeup by Shasta, fantastic engagement, fantastic phot0graphy!